We got to use the amazing facilities and equipment at Canterbury University, in a practical chemistry lab. An orange red for calcium. We also tested some unknown solutions to figure out what was in them. The flame excites the electrons. the colour is caused by electrons falling to lower energy levels. Different atoms have different energy levels and so emit different wavelengths of light. 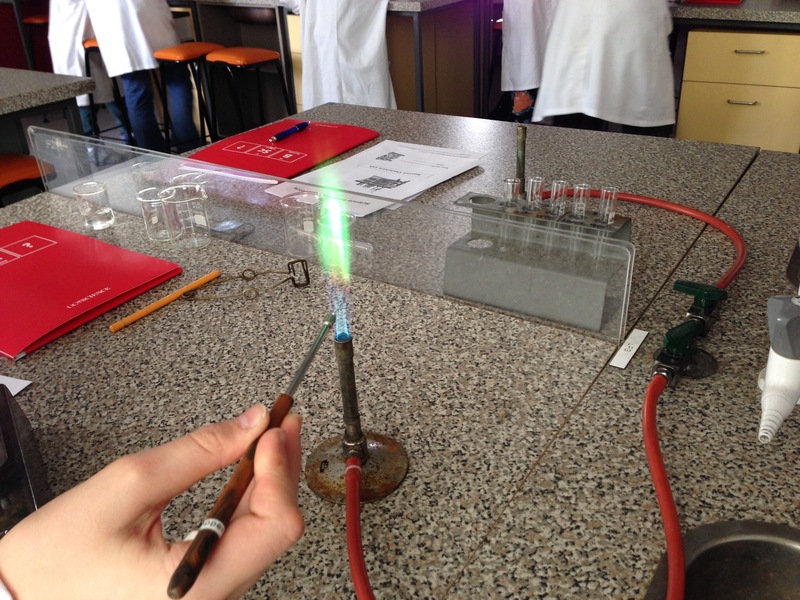 I will probably try the sodium and copper flame tests again at home.